Join us for inspiring Events and Classes! Join Rev. David Hulse on Sunday mornings, to learn about interpreting the Bible from a more enlightened-metaphysical point of view. This is a re-examination of different Biblical concepts based on Rev. 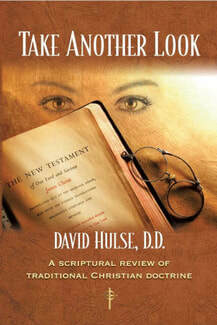 David's book, Take Another Look: A Scriptural Review of Traditional Christian Doctrine.